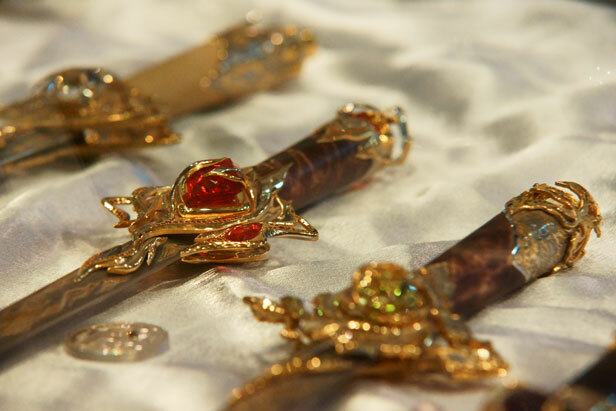 "The Blade, Traditions and Modernity", one of the major knife shows in Russia, is held in Moscow in April. Editor - Stakheev Vladimir, photos - Olga Sokolova, music - Steve Gunn "Trouba"
Visitors to the show have the opportunity to purchase and learn more about mass-produced and original productions by knife manufacturers from Russia and other countries. In addition to blades of all varieties (knives, daggers, sabers, and swords), those in attendance at the Klinok Knife Show can also view and buy forged axes, weapons and armor for historical fencing, and even weapons for self-defense like palm sticks, flashlight batons, among other things. There are various contests for the best blade in different categories, rope cutting, and sword jumping performances.